Bridge McFarland are national experts in the recovery of wrongly paid care home fees. Our nursing care legal specialists successfully help families recover overpayments often amounting to several thousands of pounds. Bridge McFarland has a team of highly-regarded lawyers based in Hull, Grimsby and Lincoln with formidable experience and expertise in all forms of dispute resolution including High Court and County Court litigation and all forms of Alternative Dispute Resolution (ADR), including mediation, expert determination, adjudication and arbitration. The ever-growing popularity of social media websites and apps such as Facebook, YouTube, Twitter, LinkedIn, Pinterest, Google Plus+, Instagram, Tumblr and Reddit have led to a sharp rise in online defamation, cyber-bullying, harassment and privacy, confidentiality and data protection issues. These are problems which affect individuals and businesses alike. Judicial Review is the process by which the courts supervise public bodies to ensure that they act lawfully and fairly. Judicial reviews can be used to challenge the decisions and actions of a range of public bodies, including local authorities, government departments, NHS trusts and clinical commissioning groups, schools and governing bodies, magistrates, county courts, coroners, chief constables and public governors. The legal process can be lengthy, with some cases taking months, or even years, to resolve. This can put a heavy financial strain on both businesses and individuals in terms of paying your own costs. The good news is that Bridge McFarland Solicitors can provide an integrated package of funding solutions for your costs and disbursements. If you have been let down by a professional advisor, such as a solicitor, accountant or surveyor, our professional negligence lawyers can help you to claim compensation. Bridge McFarland can offer you practical, uncomplicated advice, support & guidance when you need it most. Whether it be an employment dispute, family advice, an accident or negligence, life planning or moving house, let us help you. Our commercial team in Lincoln, Hull, Market Rasen and Grimsby prides itself on its sound business sense, commercial insight, local knowledge and first class understanding of the relevant legal disciplines ranging from employment law, business contracts, dispute resolution to agriculture and property development. From company formation to sale, succession, dissolution or dispute resolution, you can trust our team to deliver first class service and results. Bereaved parents would get clear answers from an independent inquest into their baby’s death. Under a new consultation the government are looking at implementing a system whereby some stillbirths can be reviewed by the inquest process. Bereaved parents would get clear answers from an independent inquest into their baby’s death. It is hoped that this move will improve the way stillbirths are investigated. The impact of losing a child is such that families are naturally consumed by the grieving process, and the last thing they think about doing is questioning whether the loss was avoidable. By having an inquest, it would hopefully mean that the families can seek legal representation who can ensure that the relevant examination of facts is undertaken by professionals – this would take the pressure off the grieving family and allow for lessons to be learned in any instances where the stillbirth was preventable. At present if a baby is born displaying no signs of life the death will not be investigated by coroners, the case would instead be referred to the Healthcare Safety Investigation Branch. If a baby was born showing small signs of life and then passed away shortly after it would be a matter that the coroner could investigate. During any Coronial process, a Coroner has a greater ability to hold Hospital Trusts accountable for actions and mistakes – by including stillborn infants into these investigations there will be a far better overview of the safety of maternity services. The Government have released an initiative to aims to halve the number of stillbirths by 2025, following the shocking NHS report published in August 2018 suggesting 600 stillbirths could be prevented nationally if maternity units were following best practice guidelines. The Hull Women and Children’s Hospital introduced new guidelines in 2016 and they have seen a dramatic fall in the number of stillbirths reported – the number has been reduced by over one third in two years. The new processes include annual cardiotocography training, weekly spot checks and taking the time to educate pregnant women about monitoring babies’ movements after 24 weeks and the risks of smoking to the foetus. 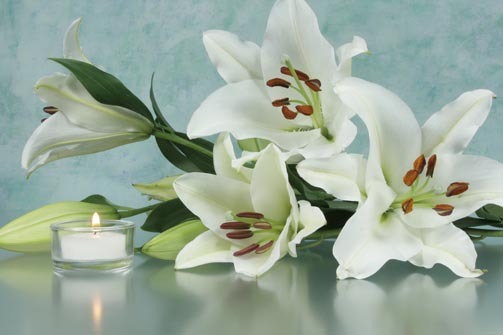 If you have been affected by baby loss and would like some support in obtaining answers to the questions you have then please do not hesitate to get in touch with us. Thank you for signing up to our Newsletter(s)!